A landmark good-enough for Forward Swindon to use it to market the town, then we need to make it look like the landmark it is. 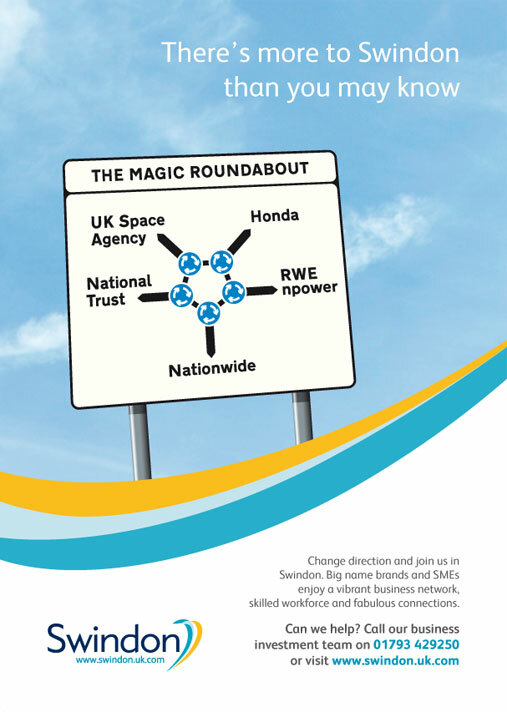 Ask any Swindon taxi driver what local landmark they most often are asked to take passengers to and it'll usually be the Magic Roundabout. The stunning effort by York on their Holgate Mill roundabout justifiably deserves the Best in Britain award from the UK Roundabout Appreciation Society. But can Swindon do better? At the moment the Magic Roundabout is, in one word : grey. Reflecting our motoring heritage and present, the roundabouts could feature different vehicles previously and currently built in Swindon, along with more greenery, lighting, and maybe some digital displays. This cinderella landmark needs to reflect what it is, a gateway to the town, we need to put a proud stamp on it that says, 'welcome to Swindon'.